Mark is an eager compatriot to the art of cinematography and everything that involves a camera. He is a quick learner and has never passed up on new experiences which will further his knowledge in the field. 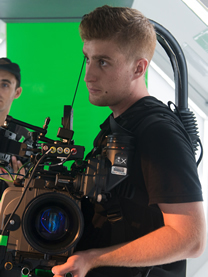 Mark has a large range of experience within the camera team, specializing in data wrangling, focusing pulling and lighting/shooting for a wide range of formats. With experience in narrative, music video and commercial work, Mark respects each role within the team. 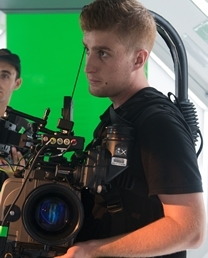 He has worked with a variety of digital camera systems such as Arri Alexa, Sony F3/F5/F55/F65 & A7s, RED Epic/Scarlet and Canon C100/C300/5DMkiii.